Ozhotels provides business and leisure travellers with a directory of independently owned and non-related hotels and serviced apartments providing accommodation in Sydney Airport. Oz hotels allows you to deal directly with these hotels and apartments, which means that you are able to get the best possible rates for this Sydney Airport accommodation. Book your accommodation online directly with the hotels close to the Sydney international and domestic airport and receive discount rates for longer stays !!! 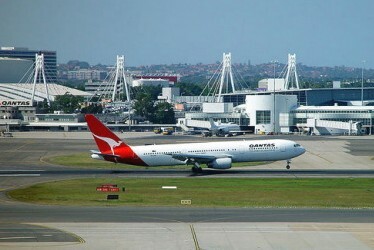 The Sydney Airport is also known as Kingsford Smith Airport and is located in the Sydney suburb of Mascot. It is the busiest airport in Australia and the main access road, General Holmes Drive, actually passes under the runway and then runs along the beach past Brighton-Le-Sands and Monterey to Dolls Point. There are numerous hotel and apartment accommodation options available to business and holiday travellers in and around the Sydney Airport, as well as three swimming baths, a long stretch of sandy beach and various restaurants in Brighton. The Sydney International and Domestic Airport can be accessed via the Airport Link underground rail line which easily transports travellers to the city centre and beyond. If you are looking for discount accommodation then consider these Sydney Airport Hotels. 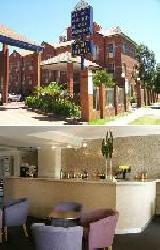 Quality Hotel CKS Sydney Airport is a budget hotel that is locate near the Sydney International Airport. The Quality Hotel CKS Sydney Airport provides both holiday makers and business travellers with discount hotel rooms and suites. This discount Sydney Airport accommodation features modern amenities and is close to everything that the city and Sydney has to offer. Within minutes of the Sydney International Airport, the Quality Hotel CKS Sydney Airport provides comfortable well equipped non smoking guest rooms and a relaxed atmosphere ideal for transit travelers. The Stamford Plaza Sydney Airport Hotel is a luxury Sydney hotel providing discount leisure, corporate & business accommodation close to Sydney airport. The Stamford Plaza Sydney Airport Hotel has a number of guests facilities and services including Lounge Bar, Business Centre, Conference Centre, Direct Internet Access, Faxing Facilities, Guest Laundry, Gym, Lift, Restaurant, Room Service, Sauna, Spa, Outdoor Swimming Pool, Tour Desk, Airport Shuttle, 24 Hour Reception and DailyHousekeeping which will make you feel right at home the next time that you stay. Located just minutes from the international terminal and opposite the domestic terminal, the Stamford Plaza Sydney Airport Hotel features spectacular views over Botany Bay, the Sydney CBD and the Sydney domestic airport. The Accommodation Sydney Rockdale provides modern, fully furnished & fully self contained 2 Bedroom Apartments that are perfect for either a short or long term stays. Ideal for holiday makers or corporate business travellers alike, Accommodation Sydney Rockdale Apartments provides Sydney apartment accommodation at a money saving price. The Accommodation Sydney Rockdale also features a wide range of modern amenities and services such as child minding, direct internet access, free car parking, guest laundry, pets allowed, bbq, garden, security, baby cots available, babysitting service and express check in/out. Guests can take a train to the Sydney CBD in just 16 minutes or drive to Sydney airport in 12 minutes. 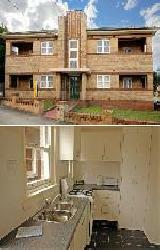 The Rockdale Sydney Apartments offer great value apartments in an excellent Sydney location.